Cocaine users may exhibit behavioral deficits. These include deficits in attention, learning, memory, executive function, and response speed. Cocaine remains detectable in plasma for 4-6 hours after use. Benzoylecgonine is the major metabolite of cocaine and generally will produce a positive urine test up to 72 hours post-exposure, but the metabolite may be excreted in the urine up to 22 days. The presence of benzoylecgonine in the urine is solid proof of past use, but the timing of past use cannot be determined based on urine analysis alone. A ratio of benzoylecogonine to cocaine in urine of less than 100 suggests ingestion of cocaine less than 10 hours prior to the sample being collected. A screening test involving immunoassay can determine up to 300 ng/ml in urine, but a confirmatory test using gas chromatography/mass spectroscopy (GC/MS) should be conducted to quantify the presence of cocaine and its metabolites at levels of about 5 ng/ml. As with other drugs of abuse, each case must be evaluated individually. 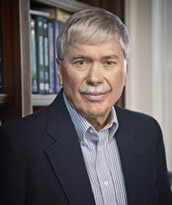 Dr. Parent has participated in several cocaine cases ranging from occupational screening to motor vehicle accidents and the reliability of witnesses on cocaine. Selected references on this subject are provided below. Ambre, J., Ruo, T. I., Nelson, J. and Belknap, S., Urinary excretion of cocaine, benzoylecgonine, and ecgonine methyl ester in humans. Journal of Analytical Toxicology, 12(6), 301-306 (1988). Baselt, R. C. and Chang, R., Urinary excretion of cocaine and benzoylecgonine following oral ingestion in a single subject. Journal of Analytical Toxicology, 11(2), 81-82 (1987). Burke, W. M. and Ravi, N. V., Urinary excretion of cocaine. Annanls of Internal Medicine, 112(7), 548-549 (1990). Chow, M. J., Ambre, J. J., Ruo, T. I., Atkinson, Jr., A. J., Bowsher, D. J. and Fischman, M. W., Kinetics of cocaine distribution, elimination, and chronotropic effects. Clinical Pharmacology Therapeutics, 38(3), 318-324 (1985). Cone, E. J., Pharmacokinetics and pharmacodynamics of cocaine. Journal of Analytical Toxicology, 19(6), 459-478 (1995). Cone, E. J., Weddington, Jr., W. W., Prolonged occurrence of cocaine in human saliva and urine after chronic use. Journal of Analytical Toxicology, 13(2), 65-68 (1989). Hamilton, H. E., Wallace, J. E., Shimek, Jr., E. L., Land, P., Harris, S. C. and Christenson, J. G., Cocaine and benzoylecgonine excretion in humans. Journal of Forensic Science, 22(4), 697-707 (1977). Helfrich, A. A., Crowley, T. J., Atkinson, C. A. and Post, R. D., A clinical profile of 136 cocaine abusers. National Institute on Drug Abuse Research Monograph, 43, 343-350 (1983). Jatlow, P., Cocaine: analysis, pharmacokinetics, and metabolic disposition. Yale Journal of Biology and Medicine, 61(2), 105-113 (1988). Jufer, R. A., Wstadik, A., Walsh, S. L., Levine, B. S. and Cone, E. J., Elimination of cocaine and metabolits in plasma, saliva and urine following repeated oral administration to human volunteers. Journal of Analytical Toxicology, 24(7), 467-477 (2000). Nordstrom, D., Santavirta, S., Gristina, A. and Konttinen, Y. T., Immune-inflammatory response in the totally replaced hip: a review of biocompatibility aspects. European Journal of Medicine, 2(5), 296-300 (1993). Poklis, A., Mackell, M. A. and Graham, M., Disposition of cocaine in fatal poisoning in man. Journal of Analytical Toxicology, 9(5), 227-229 (1985). Warner, E. A., Cocaine abuse. Annals of Internal Medicine, 119(3), 226-235 (1993). Washton, A. M. and Tatarsky, A., Adverse effects of cocaine abuse. National Institute on Drug Abuse Research Monograph, 49, 247-254 (1984). Weiss, R. D. and Gawin, F. H., Protracted elimination of cocaine metabolites in long-term high-dose cocaine abusers. American Journal of Medicine, 85(6), 879-880 (1988).